It’s all for you, Damien. 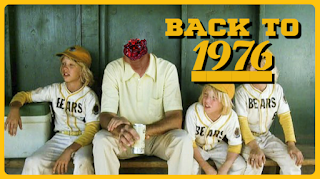 I’ll be focusing this series on the horror films of 1976 throughout the entire duration of Scary Movie Month, and no horror movie looms over that year like Richard Donner’s thriller/horror hit The Omen. It was the fifth-highest-grossing movie of ’76, out-performing the remake of King Kong, which is the only other horror movie to hit the top ten. I have to be completely honest, I’m not sure what it was about this movie that audiences responded to, but they clearly did, and this movie often makes the short list of “horror classics” that are still highly-regarded today. Gregory Peck (To Kill a Mockingbird) stars as a U.S. ambassador whose wife (Lee Remick, Days of Wine and Roses) has given birth to a stillborn baby. Someone quietly pulls him aside and tells him that within that very hospital is a baby who was just born to a mother that didn’t survive labor, and that no one would know if he took the baby as his own. Peck does this while keeping his dark secret to himself. Everything is fine until the boy, who they name Damien, reaches the age of five and terrible things start to happen. It seems that Damien has a dark side, and as the tension ramps up and the body count rises, Peck begins to suspect that his son might actually be the antichrist. So…look, movies like this can be tough. First of all, the horror is completely subjective. As I’ve noted before, the power of belief plays a huge part in whether a movie like this works for someone or it doesn’t. A movie can scare us even if we don’t believe in what we’re seeing, but having belief can allow a movie to really get inside your head. Taking away the power of belief and judging The Omen on the story, the structure, and the performances, I’m convinced that it’s a pretty mixed bag. What works in the movie’s favor is that we’re never exactly sure if this kid really is the antichrist or if this is just one long string of coincidences. Richard Donner and writer David Seltzer (1979’s Prophecy) made a choice never to show us anything supernatural, and the possibility looms throughout the entire movie that Gregory Peck could just be losing his grip on reality. Ambiguity like that goes a long way in a movie that walks in such a realistic world, with not a single (well, maybe one) hint of the actual supernatural. I’ve always struggled with Gregory Peck. I think he’s been in some terrific movies, but I’ve never found him to be terrific in a movie. He wanders through this film doing his best impression of Abraham Lincoln, standing around and looking stern while keeping his voice low and his emotions in check. Even when his whole world is falling apart, he only seems mildly annoyed. He spends most of the movie exhibiting the calm demeanor of a man quietly inconvenienced, as if he’s just been informed that his in-flight meal is actually a bag of pretzels and a Coke. We get close to some real human emotion in the final twenty minutes, but it’s a new level of minimalism, especially for a horror performance. Lee Remick is good as Damien’s mother, but it just doesn’t seem like she has much to do. It’s very clear that this is Gregory Peck’s movie, and Remick is written out of the action far too early for me. Damien himself is played by Harvey Stephens, an adorable little boy with only three acting credits on his resume. I’d argue that it’s hard—if not outright impossible—for children to be scary. Kids can throw tantrums, they can be really annoying, and they can even be spoiled brats who cause chaos to the point that no one wants to be around them, but it’s nigh-impossible for a little kid to actually be scary. I don’t think the child actor playing Damien ever really seems truly menacing. There’s a shot in the third act where Damien looks directly at the camera and smiles while scary music plays. This is no doubt supposed to send a chill down our spine. In actuality, it looks like someone just told this little boy that he was going to get ice cream when the shot was over. He just looks really happy, not evil. The supporting cast is fantastic, though, and more than makes up for any slack from the headliners. David Warner (Time Bandits, TRON) plays a photographer with some evidence that there may be more than meets the eye. Warner is great, and actually brings some real acting experience to the role and goes a long way to making us care about what’s happening. Patrick Troughton (the second actor to play Doctor Who) is a priest who explains the biblical ramifications and apocalyptic scope of the story. Troughton is always outstanding; he’s a genre movie staple who had a history with Hammer Films in the sixties and seventies, and The Omen might be the biggest international film success he ever had. Last but certainly not least is an incredible performance from Billie Whitelaw (Hot Fuzz) as a cheeky nanny (Cheeky Nanny: Fridays on BBC One) tasked with watching over Damien. Of all the actors in this film, she’s the one who gives the most memorable turn and displays the broadest range. Both technically and aesthetically, The Omen is put together really well. Richard Donner had only made a few theatrical films before this, but he’d been directing in television for over fifteen years and he knew what he was doing. While there aren’t a lot of elements on display that hint at the massive blockbuster career that Richard Donner was about to embark upon with 1978’s Superman, there are signs of his style and what’s to come littered throughout. There’s a big high fall stunt that looks identical to one in 1987’s Lethal Weapon, and he shoots the brief bursts of action in The Omen with a flourish that fans would soon come to know well. Still, I have to admit that the pacing doesn’t feel like Donner’s future work. This movie virtually crawls to the finish line. It’s under two hours, but it sure feels like it’s three. The Omen? More like The SLOWmen. As for the visual style, this is the mid-seventies, so there’s a lot of diffused, soft light and hazy filters on a lot of shots. I think that’s a stylistic choice that has aged horribly, but it doesn’t drag the movie down as much as Peck’s dead-weight performance. Actually, the visuals of the movie are mostly great, with some stunning cinematography and shot compositions from director of photography Gilbert Taylor, the man behind the camera for little movies like Dr. Strangelove, Flash Gordon, and an indie flick called Star Wars. His lens captures what could be (and sometimes is) rather mundane in a very engaging way. Jerry Goldsmith contributes a score that won him an Academy Award (his only Oscar), but I don’t think it’s nearly as good as the one he wrote for Logan’s Run. His music here is dominated by a men’s choir chanting in Latin, all doom and gloom stuff straight out of a Wagner opera. It’s funny to think that the Latin chanting that scared audiences in 1976 is very similar to the Latin chanting that sold millions of CDs twenty years later when people wanted music for doing yoga, meditating, and drinking herbal tea. The truth is, sometimes The Omen really works, but a lot of the time it doesn’t. Most of the running time seems to be filled by guys with hairy eyebrows standing around and giving conspiratorial glances and yelling things like “You have to do something!” I actually wonder if this movie isn’t actually about the antichrist, and there’s an undercurrent of truth that really makes people subconsciously uncomfortable. Is it possible that we’re all a little bit worried that our own children will turn out to be Damien? Not actually the antichrist, of course, but just giant douche bags. I can speak to that concern, because I think somewhere in the back of every parent’s mind, in the dark corners they don’t want to talk about, is a concern that they might be raising an A-hole. As I stated earlier, I think belief goes a long way to whether a movie like this really gets under your skin or simply passes the time, and that’s doubly true for horror based on religious motifs. The Omen has some fantastic over-the-top kill scenes, but the movie undercuts them by taking itself too seriously, which makes these graphic moments unintentionally hilarious. A little levity would allow us to have fun with the movie through tension and release. 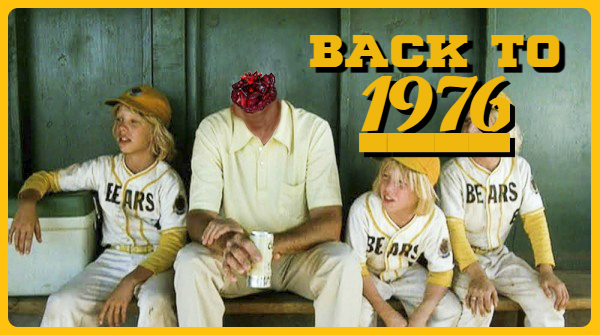 Still, it’s a nice indicator as to where horror was in 1976. It’s true that The Omen is more interested in psychological horror than in gore tactics, but it doesn’t shy away from its grotesque side, instead wrapping its nightmares in a very polished package that really seems to have taken audiences off guard. Throw in a few fantastic performances from the supporting cast and some wonderful cinematography, and what is ultimately a middling thriller occasionally flirts with becoming something more. It’s hard not to wonder what could have been with a more impassioned (maybe younger) lead actor as the father. On that note, I totally get why this movie was remade in 2006. The Omen has a solid premise with some interesting things going on underneath the surface, but, for me, it never takes off. Millions of people consider this a classic, and I have to respect that, but I think that too many things ultimately hold The Omen back from greatness.